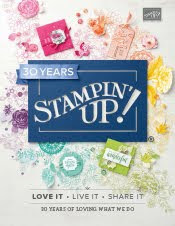 Just Julie B's Stampin' Space: No Bones About it...Quick and Easy Cards and Packaging! No Bones About it...Quick and Easy Cards and Packaging! This project includes two cards and two gift packaging ideas that are quick and easy…and no bones about it…they’re super cute, too! The No Bones About It Stamp Set is featured and provides the dinosaur theme for each project…and Schoolhouse Designer Series Paper provides fresh, fun colors and patterns. Those colors and patterns also bring the versatility that allows you to create for either the special little boy or girl in your life! For a final finishing touch the matching envelopes are a cinch using the Envelope Punch Board. This super cute project was made by Sue Plote, and you can get her tutorial when you subscribe to the month of December over at Craft Project Central.